CHICAGO — Shootings on Sunday wounded at least four people, including two boys, police said. In the most recent shooting, a male juvenile was shot in the chest and neck in the 3800 block of West Gladys Avenue, police said. The boy was in a van when someone fired shots, hitting the boy twice. He was taken to Stroger Hospital. Police did not know his condition, but said it had stabilized. Earlier, a 38-year-old man was wounded in Little Village, according to Officer Janel Sedevic, a Chicago police spokeswoman, citing preliminary information. Around 12:50 p.m., someone shot the man in the 2400 block of South St. Louis Avenue, striking him in his head, Sedevic said. He is in critical condition, but police did not know to which hospital he was taken. About 30 minutes earlier, a boy was shot in West Englewood. 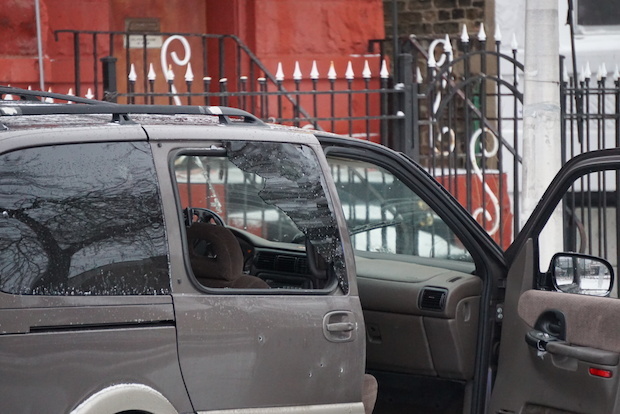 Someone shot the 16-year-old boy in the 7300 block of South Damen Avenue, striking him in his leg, said Sedevic, citing preliminary information. Police do not know which hospital he was taken to or what his condition was beyond that his condition had stabilized. Around 7:30 a.m. in the 1600 block of South Hamlin Avenue, a 22-year-old man was shot in the leg, police said. He was taken to Mount Sinai Hospital in good condition.